The primary purpose of a TGV delete is to remove the divider bar and butterfly valve inside the TGV assembly to improve airflow to your engine. TGV Delete: Top is a deleted TGV and bottom is the stock TGV. HP gain is 12 HP. This figure is highly debated as different manufacturers use different dynos with different cars with different levels of mods. What is the purpose of TGV Deletes? 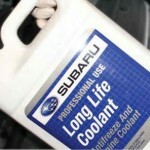 The are meant to reduce cold idle emissions. Nothing more, nothing less. Once your vehicle is warm, the butterfly valves open fully and remain that way. Which manufacturer is best? This topic is highly debated with no real winner in terms of performance. There are several companies that offer the TGV delete service as well as purpose built units or Japanese models which are, in essence, hollow units. Japanese model, what is that? TGV internal assemblies are only used for cold start emissions on US cars. Hence, the Japanese TGVs do not have the divider plate or butterfly valves. 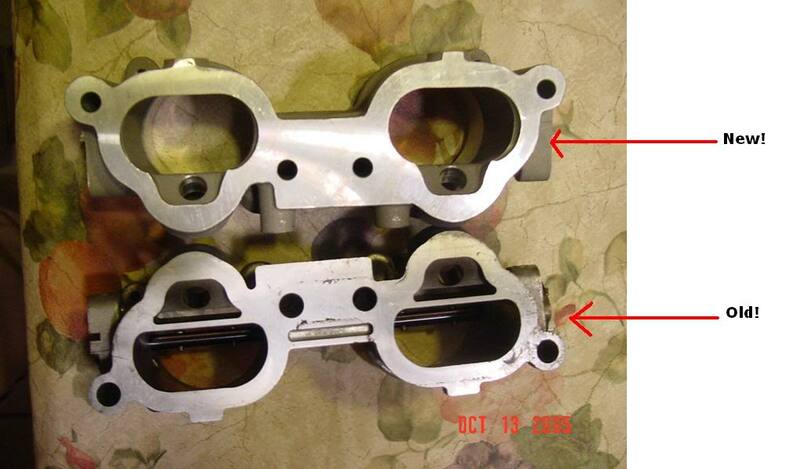 Some models are one piece intake manifolds with longer runners that make up the TGV portion and other models are just like their US cousins with no internal plates or butterfly assemblies. Neither units have the associated TGV external motor controllers as well. Which TGV Delete has the best gains? There is no irrefutable evidence that any TGV Delete option has better gains than another. The consensus, if there is one, is they are all within 5HP or less, gain wise, of each other. Do TGV Deletes cause a CEL? Yes. By removing the TGV motors, it will throw quite a few CELs. 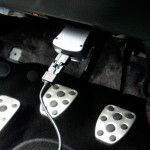 The bad news with this, is the TGV CELs will throw your car into limp mode, meaning unlike some other CELs that you can still drive around with and have no fear, the TGV codes limit boost/RPM operation meaning they must be taken care of in order to drive your car for any reasonable distance. 1. Normally, you remove the TGV motors and the rod that holds the butterfly valves in place. You could leave the rod in place (sans butterfly valves) and reinstall the TGV motors. This would allow them to actuate normally making the system think everything is working correctly. 2. APS makes a block that you attach the TGV motors to, this allows them to actuate normally making the system think everything is working correctly. These are not sold separately though, but can occasionally be purchased in the Private For Sale Forum or on eBay. 3. 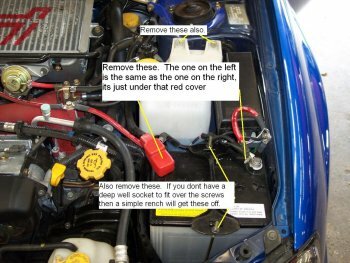 Various engine management systems can remove the associated CELs. Do I need to perform the CEL fix? Yes. The TGV CEL codes will throw your car into limp mode. This will limit boost/RPM seen by your vehicle. It will still drive, but it should only be driven a short distance with the TGV CEL. 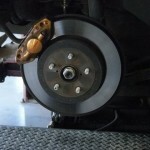 Meaning you can drive it across town or a few short trips, but by no means should you drive it as a daily driven car for weeks on end until you get the proper fix. Spark plug step 1.) Battery Removal. 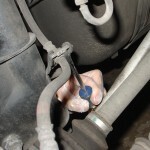 Spark Plug removal step 1.) 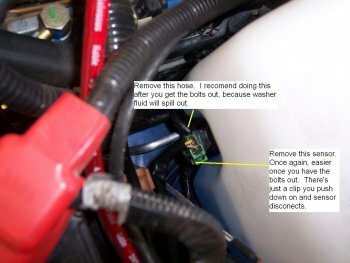 Windshield washer reservoir. Spark plug step 2.) Remove intake duct. Term usage: “Blow off valves” go by several names, among them are compressor bypass valve (CBV), air by-pass valve, bypass valve (BPV), blow off valve (BOV), Diverter valve, and possibly a few others. BOV is the common and incorrect term that lumps true blow off valves and bypass valves under the same term. 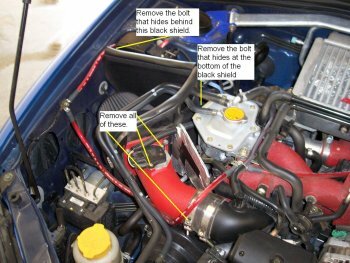 For the sake of correctness, this post will refer to either aftermarket BOV, aftermarket BPV or OEM BPV as these are the most correct terms. 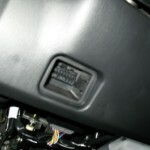 What is the function of a blow off valve (BOV)? 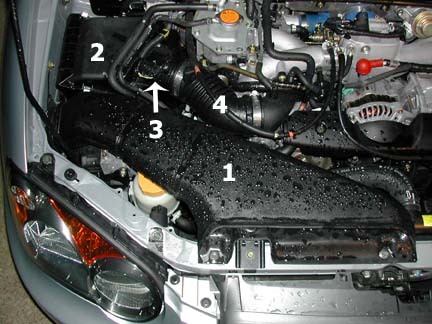 To release pressure from the intake tract of a turbo car when the throttle closes. It is a vacuum-actuated valve designed to releases the air to the atmosphere. What is the function of a bypass valve (BPV)? 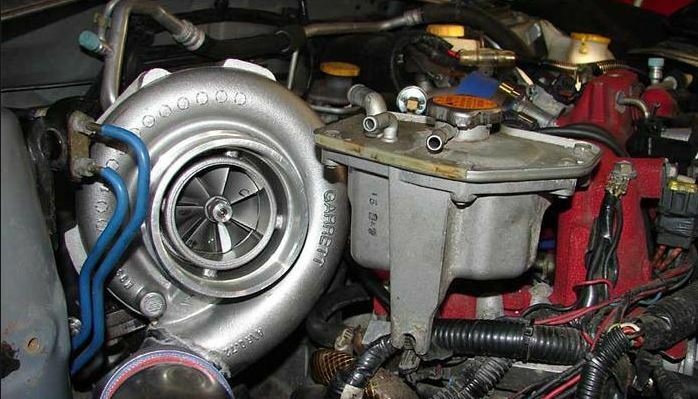 To release pressure from the intake tract of a turbo car when the throttle closes. 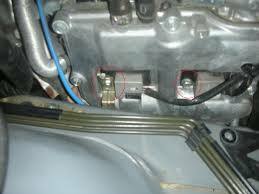 It is a vacuum-actuated valve designed to recirculate the air back into the intake before the turbo inlet, but after the airflow sensor. A stock Subaru BPV (not a BOV). 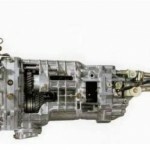 What is the purpose of a BOV/BPV? When the throttle closes and the intake system is under pressure, the high-pressure air entering the motor will bump into the closed throttle plate, and in the absence of a BOV/BPV, a pressure wave will travel back to the turbocharger. 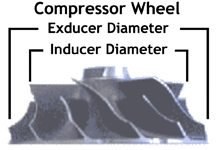 The result is that the compressor wheel will stall (a phenomenon known as “compressor surge”) and slow down very quickly. This is hard on the bearings and decreases the turbo’s lifespan, but it also means the turbo will take longer to spin up the next time the throttle is opened. 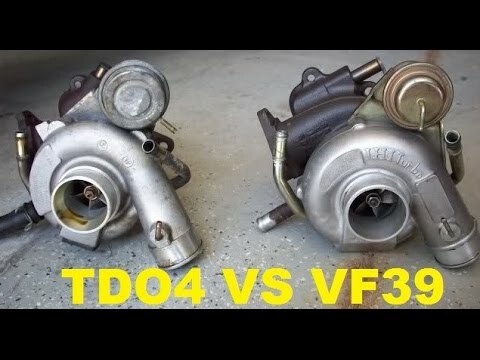 Are aftermarket BOVs necessary with Subaru turbos? No. The OEM BPV is perfectly fine up to 20psi of boost. 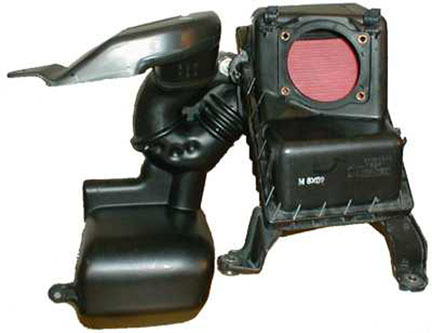 For applications using higher boost levels, an aftermarket BOV/BPV should be considered. Can I mod my stock BPV to hold higher boost? Yes. I’ll be creating a post giving detailed instructions on how to do so. Is the STi BPV better than the WRX BPV? No. They are the same. 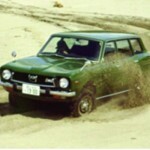 However, the JDM STi BPV will hold more boost as it is physically different than both the USDM STi BPV and the WRX BPV. 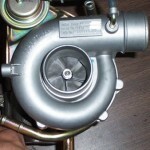 The specific PSI rating of the JDM STi BPV is unknown, but users have reported it is good up to 25 PSI. Is an aftermarket BPV better than the stock BPV? No. Unless you are considering an aftermarket BPV solely for the purposes of holding higher boost levels. 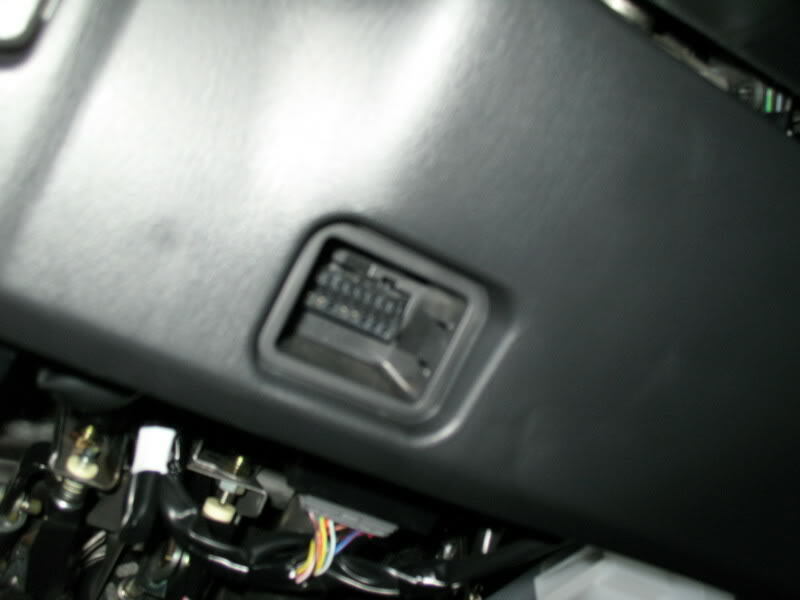 An aftermarket unit should sound just like the OEM unit. 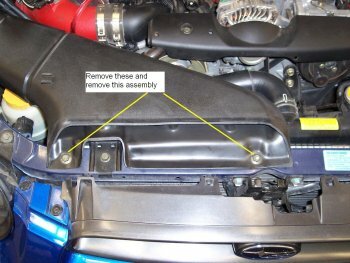 The primary purpose of an aftermarket intake is to increase the amount of air flow the engine receives. HP gain is 0-15HP. These HP figures are a range as different intakes have different dyno results. 1. Short ram: AKA shorty or ram pod. 2. Cold air intake: AKA CAI. 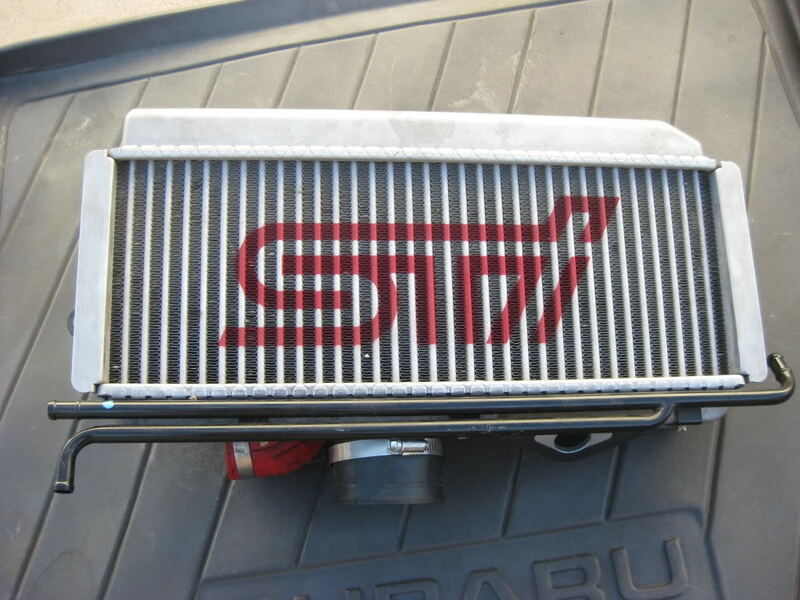 What does the stock intake look like? To gain a perspective on how aftermarket intakes function, the stock intake features will be shown and discussed for further clarity. This is the stock intake as viewed from the driver’s side. 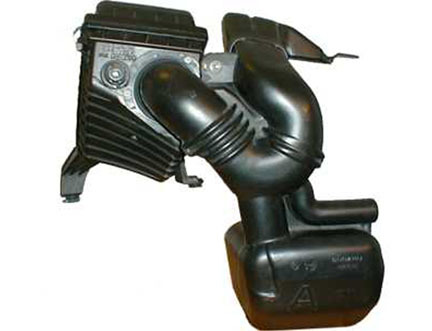 The “U” shaped assembly and the tank that connects to it on the left is commonly referred to as the snorkel, silencer, or resonator. It is actually hidden in the fender. Stock Subaru turbo intake piping. This is the stock intake as viewed from the passenger’s side. This is the stock intake as viewed from above. 1. Stock “ram intake” funnel. 2. Stock air filter box.